I'm back with even more MAC Cosmetics Eyeshadows and their dupes! MAC is well known for their vast collection of eyeshadows but at sixteen bucks a pop they can start to get pretty pricey, especially if you're just starting your collection. One popular thing in the makeup community to do is to find similar copies, or 'dupes', of designer brand makeup for less. 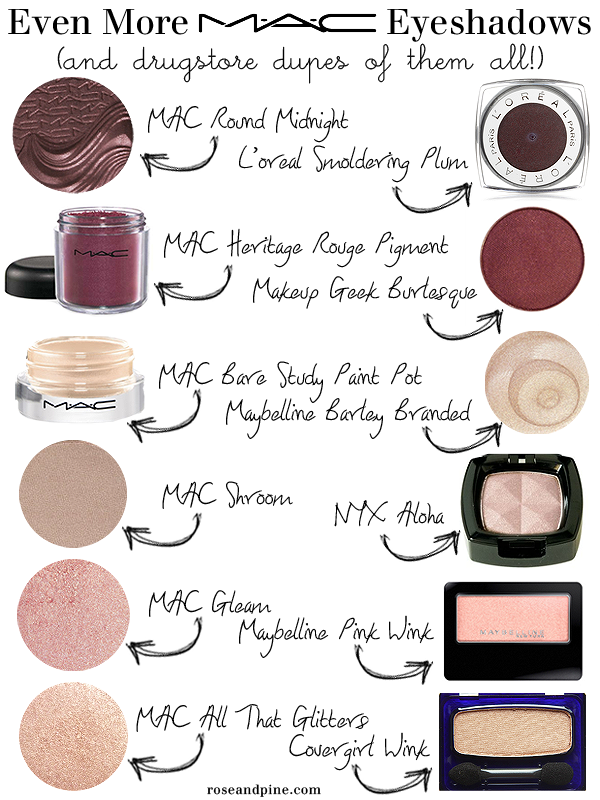 Since MAC isn't in everybody's price range, I've created a guide of MAC shadows with drugstore or easily gettable dupes! See the entire series here!